Regularly eating oily fish can help to reduce airway inflammation in children with asthma, according to the results of a study headed by researchers at La Trobe University in Melbourne. 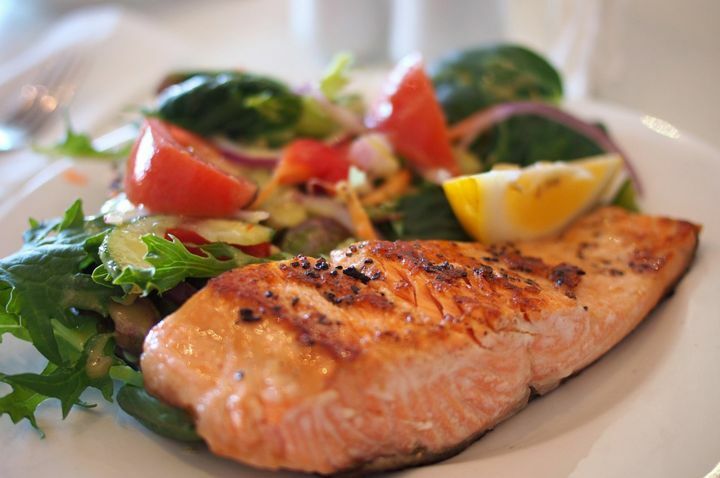 The six-month study in children with mild asthma, found that adding omega-3 fatty acid-rich fish such as salmon, trout, and sardines to a healthy Greek Mediterranean diet led to a significant reduction in bronchial inflammation. Asthma is caused by genetic and environmental factors, and research has linked disease risk with factors including smoking, pollution, pet hair, house dust mites, mold, and diet. Prior studies have found that diets high in fat, processed foods, sugar, and salt can increase the risk and prevalence of asthma in children and adolescents, the authors continue. Conversely, other research has found that asthma is less prevalent in regions where people commonly eat a Mediterranean diet that is (broadly) rich in vegetables, fruits, unrefined cereals, bread, legumes, and olive oil, and low in meat and dairy. There are no universal dietary guidelines for asthma, and what isn’t yet known is whether fish-derived omega-3 fatty acids can have any benefit. To investigate this further the team designed a study to investigate the effectiveness of a Mediterranean diet supplemented with omega 3-containing oily fish, on factors such as airway inflammation, in children with asthma. The study involved 64 children aged 5–12 years who had mild asthma, and were living in Greece. The participants were split into two groups. One group continued to eat their regular, Mediterranean-type Greek diet, and the other was instructed to include two meals of cooked oily fish (at least 150 grams) daily for six months as part of their Mediterranean diet. Questionnaires were completed to evaluate adherence to diet, asthma control, and physical activity. At the end of the six months, and after adjusting for factors such as age, body mass index, and regular physical exercise, the team found that the addition of oily fish to the diet resulted in significant reductions in bronchial inflammation, measured as exhaled nitric oxide (FeNO). The 14 units reduction was higher than the 10 units cut-off for significance. There was also a greater (though not statistically significant) reduction in the use of anti-leuktriene medication among children consuming a Mediterranean diet rich in oily fish, which the authors say also warrants further exploration. The team said their findings have important public health implications because it is relatively easy and inexpensive to change dietary habits in “real-life” situations. “Following a traditional Mediterranean diet that is high in plant-based foods and oily fish could be an easy, safe, and effective way to reduce asthma symptoms in children,” commented co-researcher and head of La Trobe’s School of Allied Health, Catherine Itsiopoulos, Ph.D.